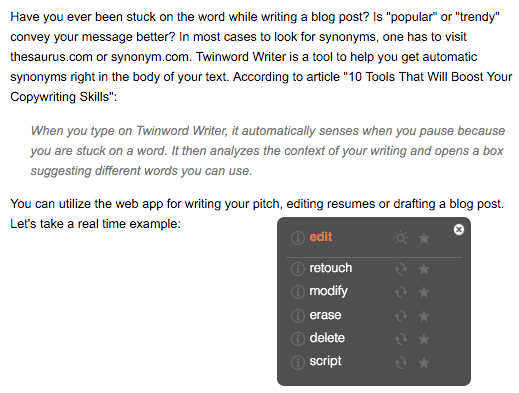 Have you ever been stuck on a word while writing a blog post, article or story online? Sometimes we simply can not find the right word to deliver our message. 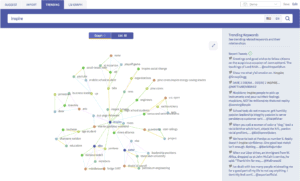 It is true that word visualization and brainstorming can come in handy when we need to expand our topic further. However, most of the times when we encounter problems like that we also need to look for synonyms. 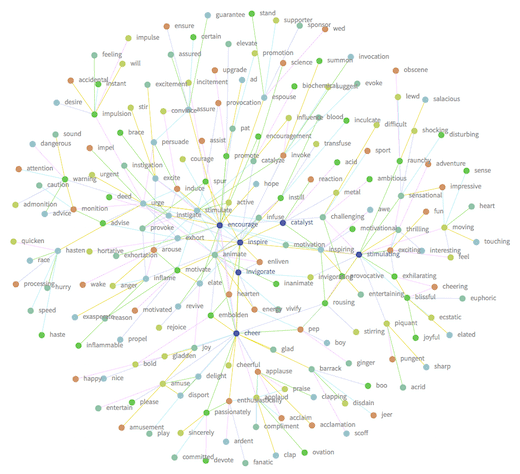 Twinword Ideas LSI Graph takes it a step further by generating not only synonyms, but also words that overall relate to the topic. 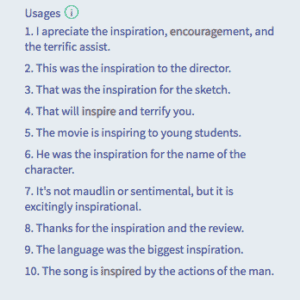 Let’s take the word “inspire” as an example. 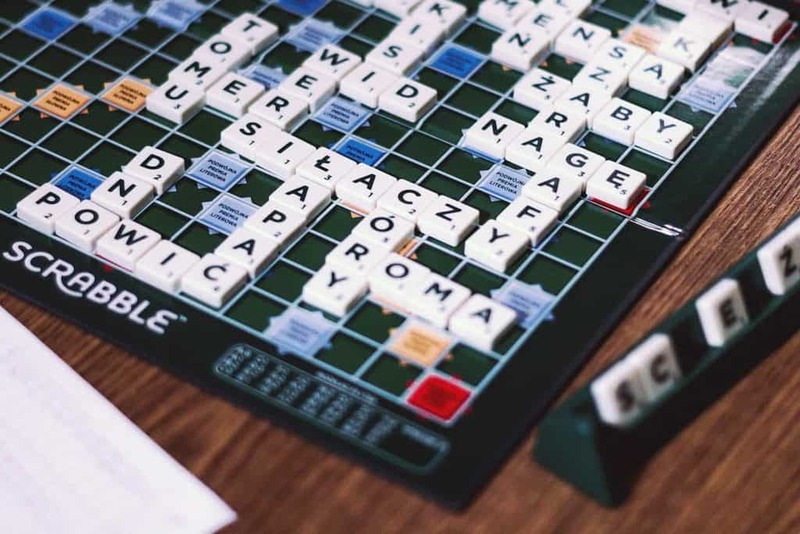 The goal of this tool is to visually map the semantic distance between words, and it helps you organize your thoughts and extend your vocabulary. Further, you can go ahead and see the usage of the word in example sentences. 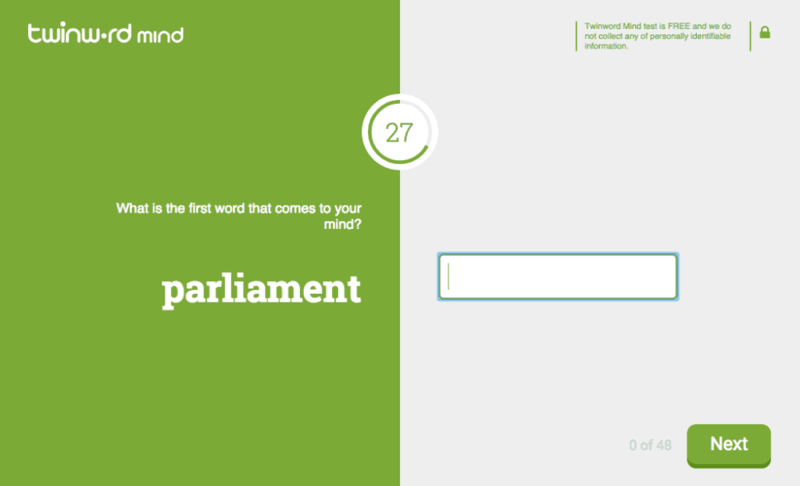 This information provides real time examples of how the keyword is used. 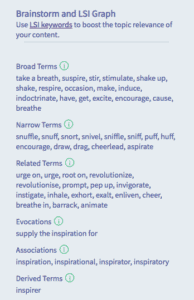 If you are also interested in trending keywords, you should check out Twinword Ideas Trending Keywords. With Trending Keywords you can discover real time trends and tweets related to the searched term. So, stop looking up boring lists of words and enjoy the fun of discovery! Let us know in the comments below how you would use this tool. Plus screen shot your graph and tweet us at @twinwordinc! 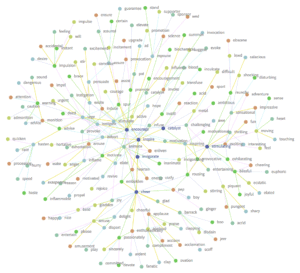 Visit Twinword Ideas LSI Graph and find related words!